When a peacefu laund is claimed by the aw-blooterin micht o Rome, its legendary guairdians maun staun as ane or bou the knee afore the muckle empire. As the day daws, the immortal protector opens his een and sterts the ultimate fecht for freedom. 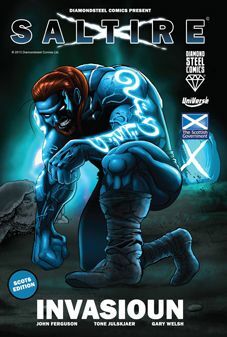 'Weelcome tae Scotland's first supermannie!